Small Business Books services the bookkeeping/accounting needs of many local businesses. Bookkeeping feedback and references from a cross-section of these clients are detailed below. 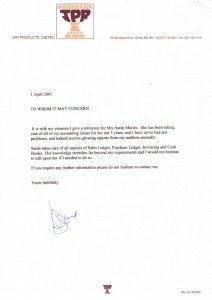 Should you wish further information regarding these bookkeeping testimonials, please do not hesitate to get in touch. Small Business Books has made a real difference to the running of the business. 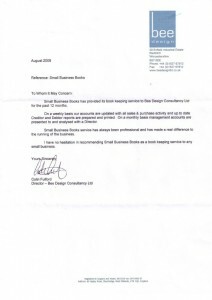 “Small Business Books has provided it’s book keeping service to Bee Design Consultancy Ltd for the past 12 months. On a weekly basis our accounts are updated with all sales and purchase activity and up to date creditor and debitor reports are prepared and printed. On a monthly basis, management accounts are presented to and analysed with a Director. 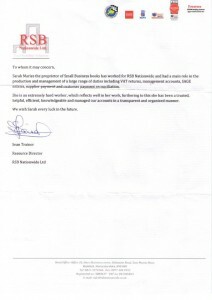 Small Business Books has always been professional and has made a real difference to the running of the business. I have no hesitation in recommending Small Business Books as a book keeping service to any business”. I have no hesitation in recommending Small Business Books as a bookkeeping service to any business. 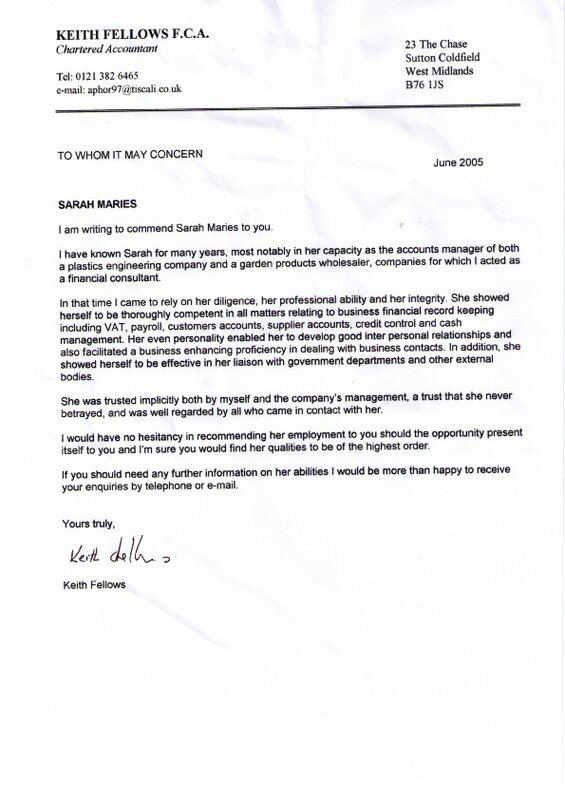 “I have known Sarah for many years, most notably in her capacity as the accounts manager of both a plastics engineering company and a garden products wholesaler, companies for which I acted as a financial consultant. In that time I came to rely on her diligence, her professional ability and her integrity. She showed herself to be thoroughly competent in all matters relating to business financial record keeping, including VAT, payroll, customers accounts, supplier accounts, credit control and cash management. 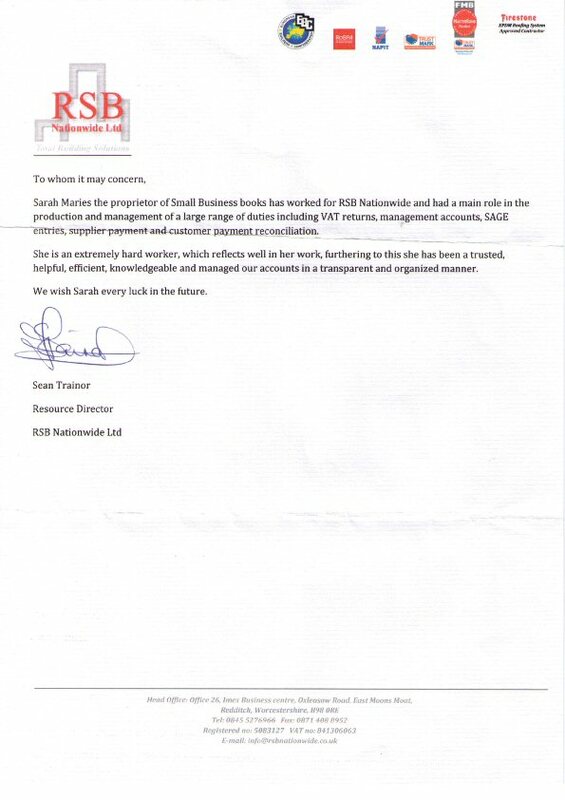 “Sarah Maries, the proprietor of Small Business Books has worked for RSB Nationwide and had a main role in the production and management of a large range of duties including VAT returns, management accounts, Sage entries, supplier payments and customer payment reconciliation. She is an extremely hard worker, which reflects well in her work, furthering to this she has been trusted, helpful, efficient, knowledgeable and managed our accounts in a transparent and organised manner”. 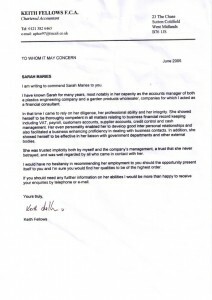 “It is with my pleasure I give a reference for Mrs Sarah Maries. She has been taking care of all of my accounting issues for the last five years, and I have never had any problems and indeed receive glowing reports from my auditors annually.